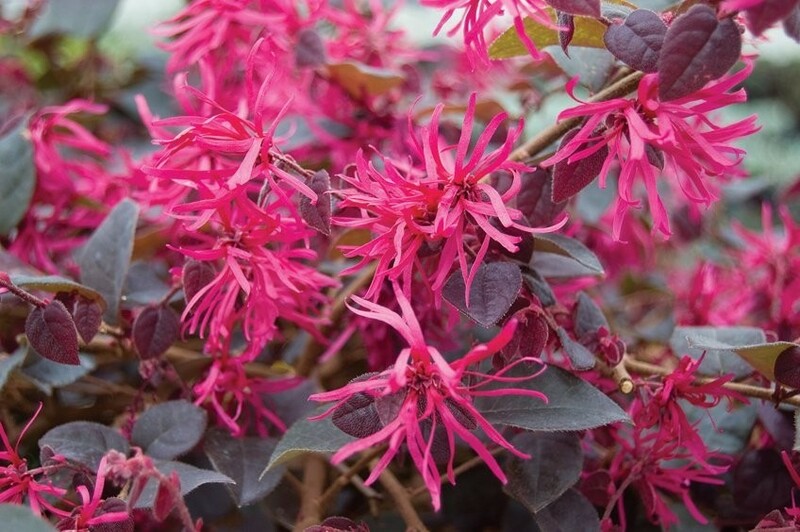 This unusual variety of Chinese Witch Hazel benefits from bright red spidery flowers appearing from late winter to early spring, shown off against extremely dark plum-purple foliage. This provides a stunning compact evergreen shrub, perfect in beds and borders or sheltered patio containers. It will often also have a further flush of flowers in late summer and early autumn. 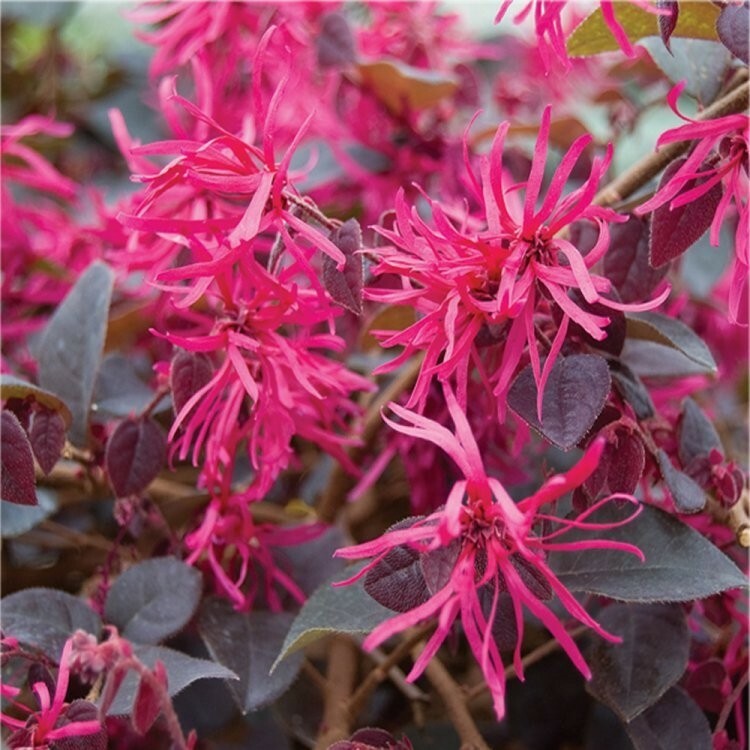 For something different and dazzling Plum Gorgeous Chinese Witch Hazel is the perfect choice, be it in a mixed shrub border or as a specimen in a large planter. It will do best in a partially shaded position on well drained yet retentive soil with plenty of compost incorporated at planting time. 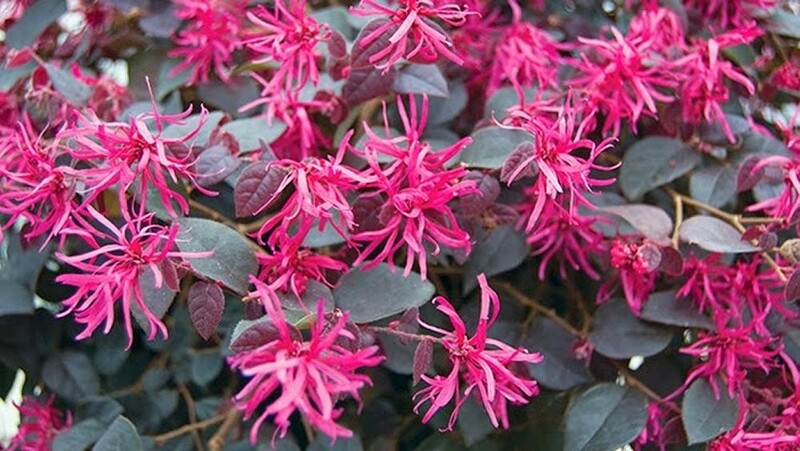 Over time, these Loropetalum plants form a neat compact bush around 75cms high and up to 100cms wide. Evergreen and winter hardy, it is the perfect choice to combine with other contrasting plants such as Nandina Lemon Lime in the garden or in a container on the terrace or balcony. Supplied in approx. 2 litre containers, in season plants supplied will be covered in buds and flowers as pictured.